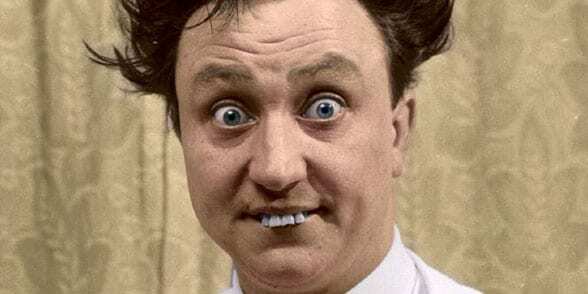 Ken Dodd OBE: Comedy Legend - Slapstick | Bristol's Silent Comedy Festival. THIS EVENT HAD NOW SOLD OUT! We are absolutely tickled pink to be giving the fourth annual ‘Aardman Slapstick Comedy Legend Award’ to none other than comedy icon and national treasure, Ken Dodd. He is unrivalled in his comedy credentials in a career that spans more than six decades. Ken is renowned for giving value for money at his live shows and has influenced generations of new comedians among them Harry Hill and Peter Kay. This event will see Ken in conversation with Mattthew Sweet (Night Waves, The Culture Show) , discussing his long career, before he receives this prestigious award. We will tease out just what keeps his tickling stick quivering!